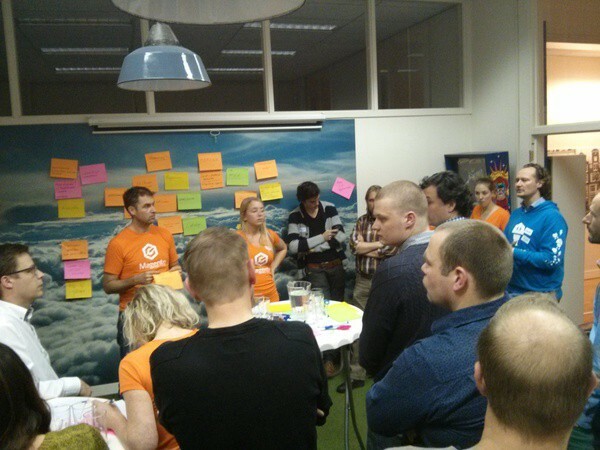 In The Netherlands we have had MUGs (local Magento User Groups) for a couple of years now. The first one was started in Amsterdam by Ray Bogman in May 2013 and many other cities accross the country have followed since. 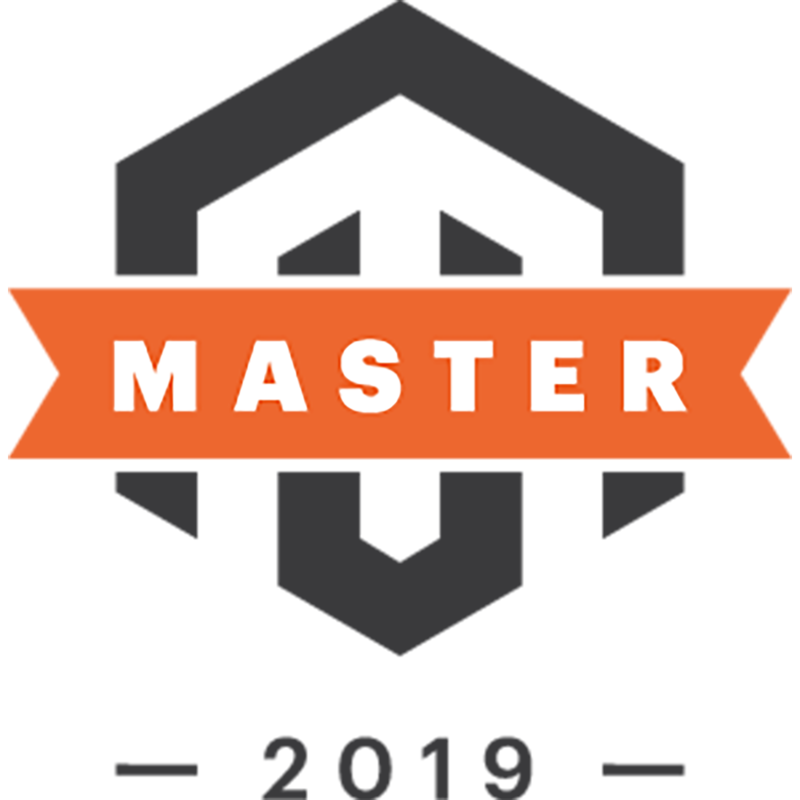 In most cases, it was a company or one or two Magento enthusiasts wanting to get to know the local community, share knowledge and have some fun together. 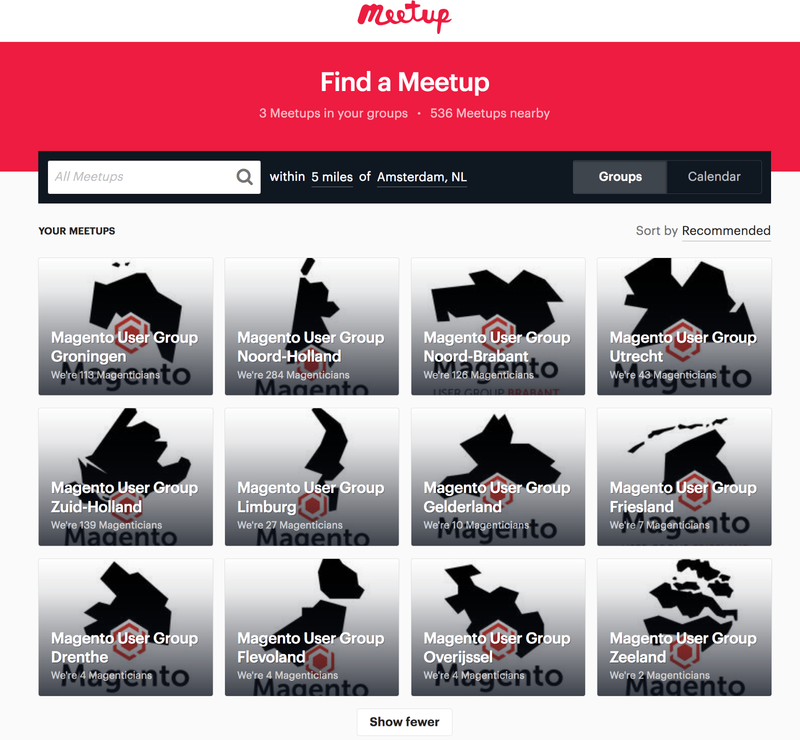 And this worked out pretty well: over 750 people have signed up for at least one of these meetup groups and 57 meetups were organized! 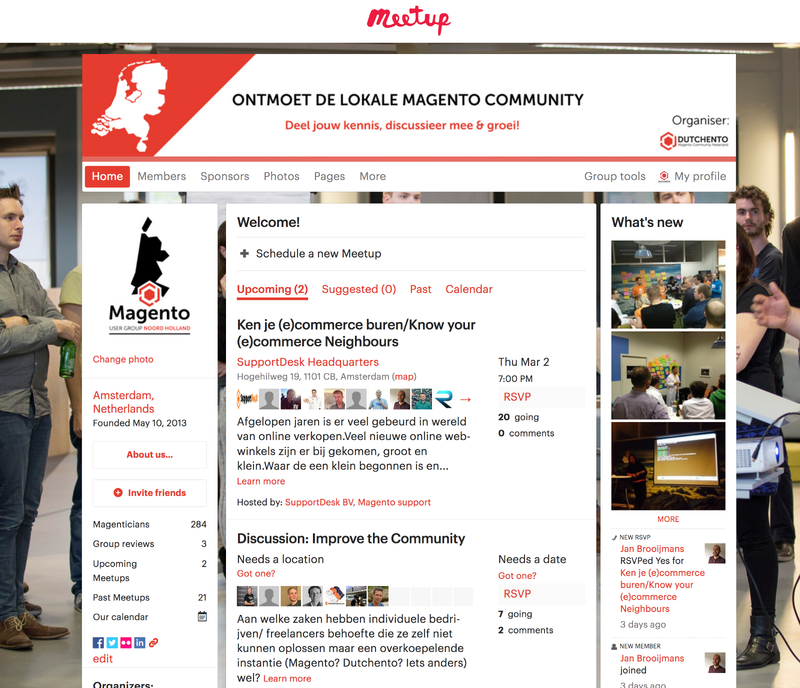 What a great Magento community we have here in The Netherlands! 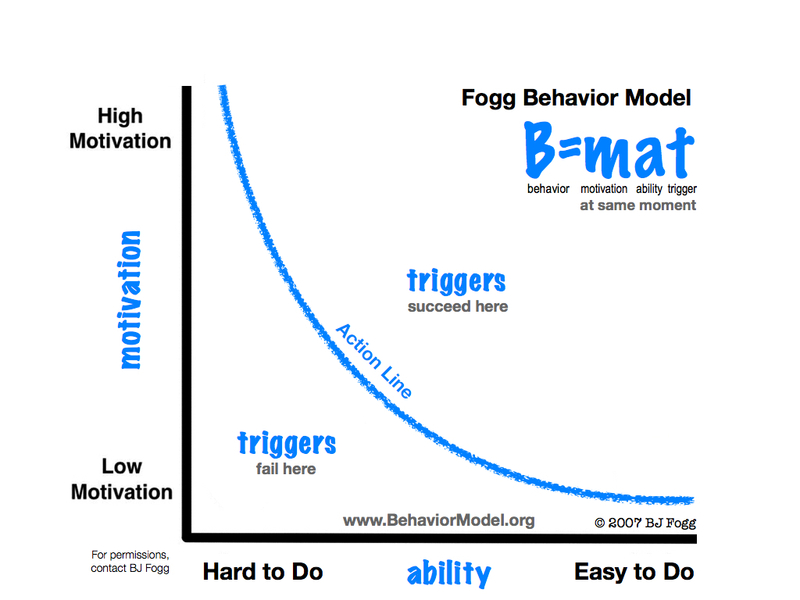 Currently there is not much coordination going on between the groups, it’s hard to start for new groups (or at least could be much easier) and having only 1 company organizing the group creates the risk of the group falling silent if the company is no longer interested (or is too busy with Magento 2 implementations to organize meetups). 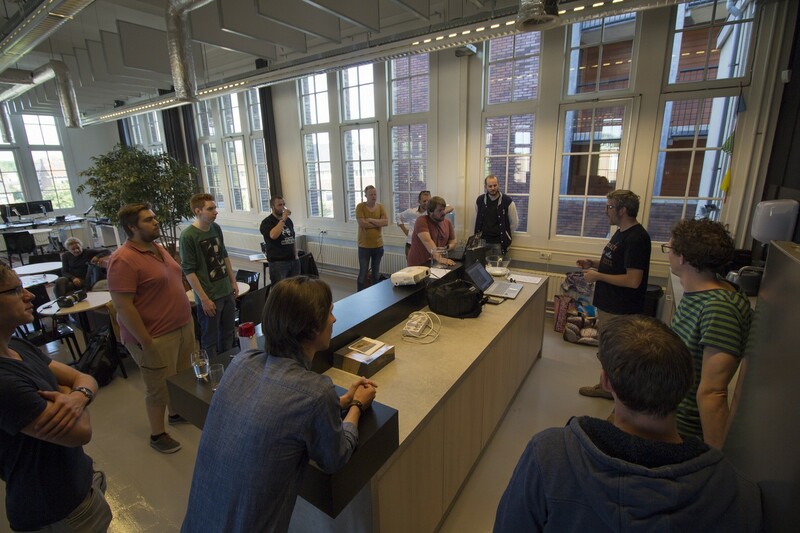 So in order to coordinate this in a better way and guarantee continuity, Dutchento (the national Magento community organization) will now start coordinating this. Since today, all local meetup groups have transfered the local groups to Dutchento so we are able to take on this task. 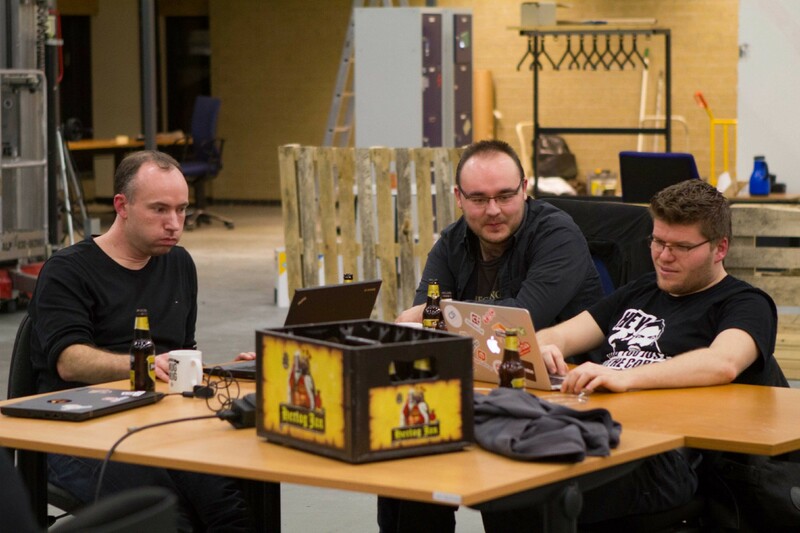 MUG Groningen, Januari 2016: Guess who was actually working on Magento 2, and who’s pretending. As you can see we have 12 groups, one for each province. The black blob in each logo is the shape of the map of the specific province. To align all organizers we created some guidelines with them, based on their experience over the past few years. We’ve published this on Github so everyone can see and contribute to them: https://github.com/Dutchento/organization-mug-guidelines (in English). Together with the local organizers and our marketing team we have now started working on our plan to grow these groups even more with help of our existing nation-wide userbase. 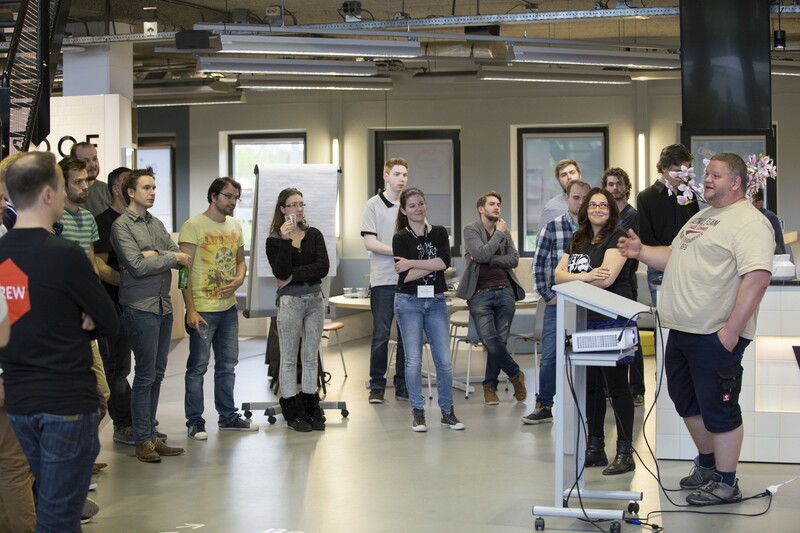 We’ve started gathering lists of people who (want to) speak at local meetups to facilitate the sharing of topics and speakers and also use the local meetups to build up towards our main Meet Magento event in May. How are you organizing you local community? Any thoughts on the above? Let me know in the comments!